Book of Memories –> Obituary/Death Notice Maps & Directions Tributes/Condolences Place a Memorial Candle Family Login Gloria Donlin Foley May 26, 1921 – March 02, 2018 Gloria (Farrell) Donlin Foley, 96, formerly of Worcester, W. Harwich and Vero Beach, FL. 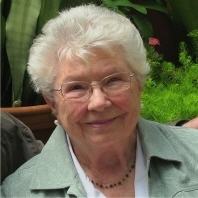 Shirley R. (Rush) Scholes, 90, of Falmouth died February 24 at Falmouth Hospital. She volunteered as an assistant librarian at Mullen-Hall Elementary School for 30 years. NEW BEDFORD — Filomena Maria (Alexandre) Torres, 67, passed away at home on Wednesday, February 28, 2018, after a period of declining health. She was the wife of 49 years to Arthur M. Torres.She was born in Fenais D’Ajuda, St.
Gardner W. Munro of Cranston, Rhode Island, a lifelong summer resident of Waquoit, died February 22. He was 88. Mary Alice Benway, 90, of Mashpee died February 24. Robert Savoia of East Falmouth died February 23 at the age of 75. Charles J. Vasques, 82, died February 26 at his home in Falmouth. Mr. Vasques worked locally in the construction business, including on the remodel of Falmouth Public Library in the 1970s.